Earlier this month Huawei Mate 20 and Mate 20 Pro was launched in China, now the company set the launch event for Mate 20 Pro in India which will be held on Nov 27. 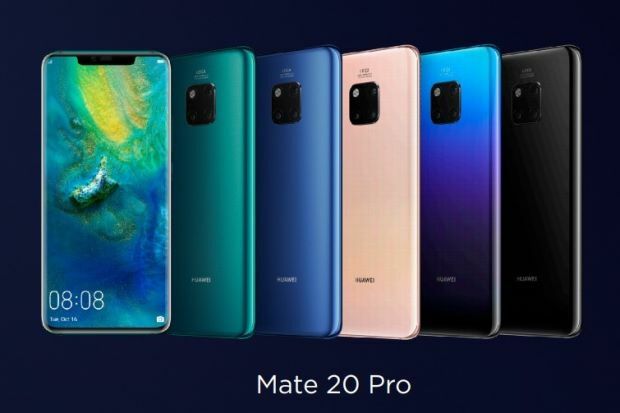 Mate 20 Pro is a premium segment smartphone from Huawei. It is powered by octa-core 7nm Kirin 980 SoC, coupled with 6GB RAM and 128G internal storage, it said that 8GB RAM and 256 GB storage variant will also be available. The Mate 20 Pro sports a big 6.39-inch AMOLED notch display with 3120 x 1440 pixels QHD+ resolutions, it features an in-display screen fingerprint sensor with advanced 3D facial recognition/face unlock. The Mate 20 Pro has a triple camera system on the back (40 MP + 20 MP + 8 MP) 40MP shooter has a primary wide-angle lens with f/1.8 aperture, 20MP is a ultra wide angle sensor with f/2.2 aperture, and the third is 8MP sensor with 3X telephoto lens with f/2.4 aperture. On the front, there is a 24MP RGB selfie camera with f/2.0 aperture. The company announced that they will bring wireless charging capabilities in India along with the launch of the smartphone. Mate 20 Pro is backed by a 4,200mAh battery which can also be wirelessly charged with a Qi wireless charging, the phone also comes with a 40-watt fast charger. Huawei is also preparing a 15W fast wireless charger with Qi standard which allows universal compatibility for smartphones, earbuds.etc. The charger also has a comprehensive safety protection feature which can detect daily objects like pens, keys.etc and cuts powers automatically. The Mate 20 Pro runs Huawei’s own EMUI 9.0 software based on Android 9.0 Pie. The Dimensions of the handset are 157.8×72.3×8.6mm and weight is around 189 grams. Sensors onboard are accelerometer, ambient light sensor, barometer, electronic compass, gyroscope, infrared sensor, in-display fingerprint sensor, and proximity sensor. The Mate 20 Pro is IP rated for water and dust resistance, The pricing of the handset is expected to be around Rs 76,000, much like other Huawei phones, it will be exclusively sold via Amazon.in. Comment below your thoughts on the Huawei Mate 20 Pro and Stay tuned with Alloftop for more updates!